Carol Novello began rescuing animals at age 5 and hasn't stopped. 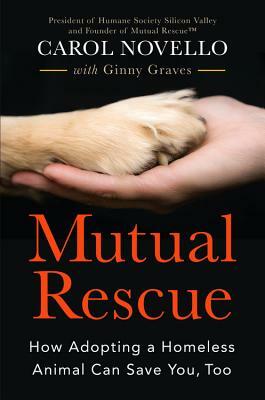 With a Harvard MBA, she was a senior executive working in high tech, most recently at Intuit, Inc. Today, she is the president of Humane Society Silicon Valley, where she launched Mutual Rescue, a digital global campaign of short films designed to showcase the therapeutic benefits of animal companionship and encourage adoptions. Through her work at Humane Society Silicon Valley, she has been awarded the Maddie's Fund "Maddie Hero Award" for innovation and leadership in the sector and has been recognized as an honoree at the Fifty Years of Women at Harvard Business School celebration in Northern California.